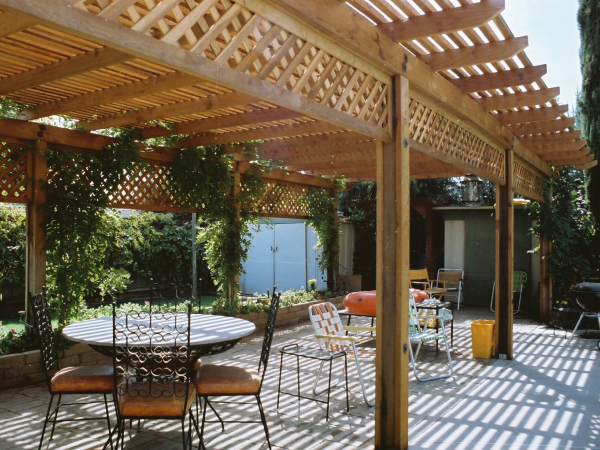 Are you considering the addition of a decorative and charming patio cover to your property. These distinctive wood elements can transform your outdoor living space into an attractive focal point and provide much needed shade. You can showcase your home by adding an arbor to your main entry. They also work well in the garden or near the pool. We specialize in custom arbor and gazebo designs in all shapes and sizes, using a full range of woods and other quality materials. We work with you or your architect to implement your plans. If you decide you want assistance, we help with your concept and design. Be the showcase in your neighborhood with the added charm and elegance of an arbor, pagoda or gazebo! The use of lattices have an innate charm and a wide variety of applications as well. Their design allows you to create a functional barrier or perimeter while still exuding warmth and openness.